If you’re reading this post, you’re probably interested in working from home. And you’re not the only one. In the Intuit 2020 Report by Emergent Research, it was estimated that 60 million people in the US will be independent workers by the year 2020. That’s next year, folks. When I first started freelancing, there were only a handful of sites on the internet that posted freelance jobs, and there weren’t that many jobs available. There were so many people vying for the same opportunities that it was very competitive. 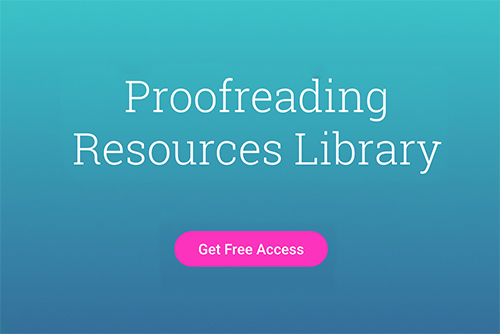 Now there are a ton of sites for finding freelance work, and the need for skilled proofreaders and copy editors has grown considerably. It’s also becoming more common for companies to allow employees to work from home, one reason being that it actually saves a lot of money on overhead costs. The number of remote workers is rising, and by 2020 the prediction is that at least 50 percent of workers in office environments will have some option of remote working available to them. A survey by TINYpulse found that remote workers are happier than people who work in an office all day. Freelancing is a very attractive career option, and also rewarding for your personal and professional life. Whether you’re planning on freelance proofreading and copyediting on a casual basis to make some money on the side, or you plan on making it your full-time career, it’s important to know what to expect—and to be realistic. As a freelancer working from home, you’re essentially a small-business owner/entrepreneur. Like anything in life, your success is directly related to the time and effort and you put in. You dedicate time to growing your business, it’ll grow; you slack off and don’t put in the work, your business won’t grow. Your patience, hard work, and determination will one day pay off. One day you’ll land your first paying client. Then another. Then you’ll get a referral. Then you’ll find regular work that pays the bills every month. Then you’ll find yourself with a roster of clients and an impressive list of projects you’ve worked on. 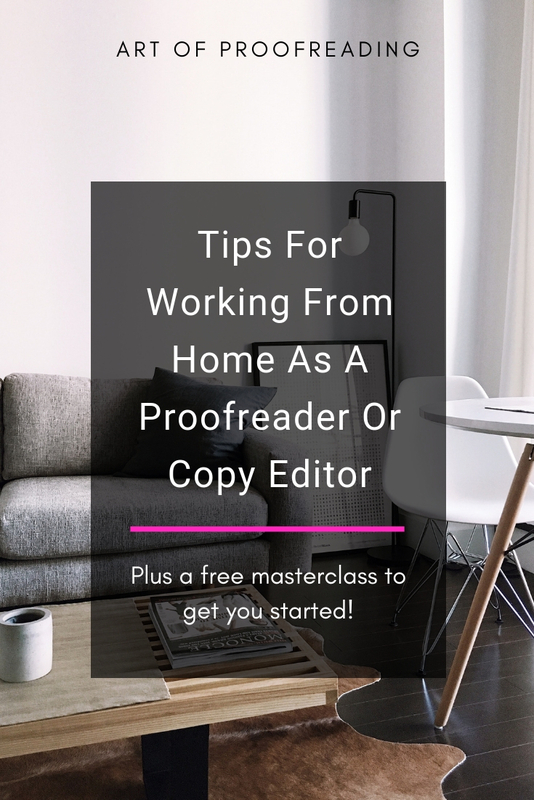 If you’re ready to work from home as a proofreader or copy editor, we have FREE masterclasses on how to get started. You can sign up below to save your spot for the next class! There will be moments when you’re so busy you just don’t know how you’re going to meet all of the deadlines and remain sane. This is when you want to have a system in place that’ll help you manage everything. Every freelancer has moments when work slows down. It could be because of the time of year (Christmas is usually slow), or clients are experiencing slow periods themselves. These factors are beyond your control and you can’t let yourself feel disheartened. Instead, see it as a chance to try new ways to attract clients. Downtime is why freelancers have websites, post on social media, and continually reach out to potential clients. Stay on top of your marketing. Starting out, you’re going to be hustling every day, but even with regular work coming in it’s a good idea to spend time every week on marketing or job searching so you’re growing your client list. And it’s always better to have too many clients than too few. Feeling isolated is common when you work from home. Most freelancers’ communication is through email, team collaboration tools, or video conferencing. However, you don’t meet with people every day, and the majority of your time is spent working alone, in silence. To combat feeling isolated, freelancers have to put in extra effort in order to maintain human contact. That’s why you’ll find us in coffee shops and libraries, eating lunch on a park bench, or at the gym. Join co-working spaces: These are more popular in urban areas, and they offer freelancers everything you need to work including a kitchen with coffee and tea, Wi-Fi, 24-hour access, private rooms for meetings, and communal work tables. The value is in the human experience and sense of community they provide. Some workspaces even offer services like accounting or web development. Join Meetup or Facebook groups: Do a search for freelancers, remote workers, and entrepreneurs’ groups in Meetup or Facebook, and chances are you’ll find something in your local area. The beauty of Meetup is you get to meet people in a social atmosphere like a café or pub, and there’s less pressure to “present” yourself because everyone knows what everyone does from your profile. Facebook groups are great for connecting online. You’re able to share ideas, get advice, chat with people, and participate in organized events. Many people have developed lasting friendships and even gained referrals from these groups. Work in a coffee shop or library: Coffee shops and libraries are great places to work because they have free Wi-Fi, air-conditioning in the summer, and are full of people. Join a gym, exercise class, or hobby club: Stay healthy and be social at the same time. These are also great places to network, if you’re so inclined. Get outside at least once a day: Part of the reason why people who work from home feel isolated is because our environment doesn’t change. Make a conscious effort to get outside for a few minutes every day. You can go for a walk, grab a cup of coffee, run errands, or even work outside if the weather’s nice. The point is to get fresh air, sun, and stimulation so you don’t feel like a zombie. Working from home, remote work, freelancing—whatever you want to call it—isn’t a fad. It’s not going away, and it’s going to be the future of work. Working from home isn’t the big pie-in-the-sky dream that it used to be. If there are millions of people already doing it, why can’t you? Wouldn’t it be great to read, fix errors in text, and make money all from the comfort of home? Must-haves for every proofreader & copy editor!